Hyphessobrycon amandae common name ember tetra. These only grow up to 15-20mm maximum size. They are best kept in water perameters of PH range 5.0-7.5, and take temperatures of up to 20-28 Celsius / 68-82 Fahrenheit. 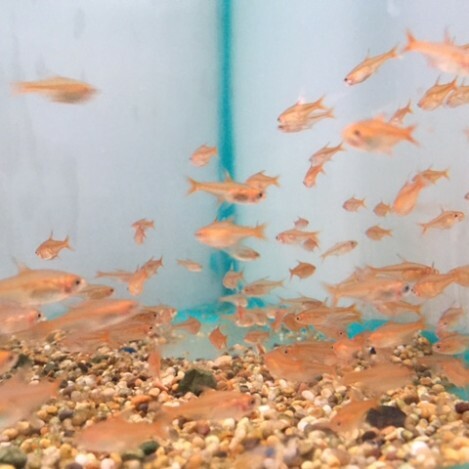 The ember tetra is only a small fish, they are best mixed with other smaller size fish. It is best not to mix them with any big size fish as with there lovely red colour, they can be easily spotted and eaten. As they are so small fish smaller size foods are the best for them, like flake, or mini granular foods. Also a nice treat would be freeze dried, frozen or live foods. 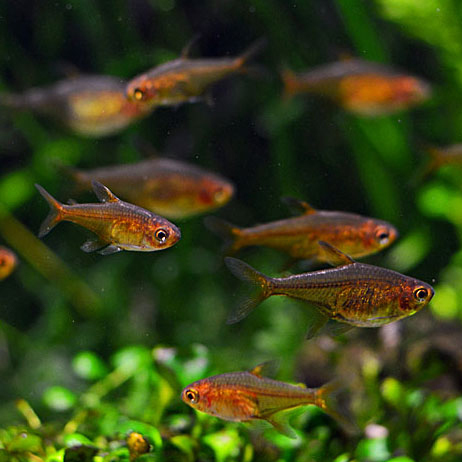 Ember tetra are tiny little fish they only require small size foods. 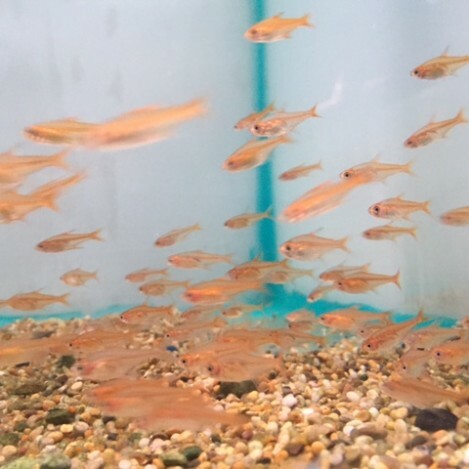 A colour enhancing food is good to feed the ember tetra to keep there colour lovely and bright. They will only need feeding once a day at the most.